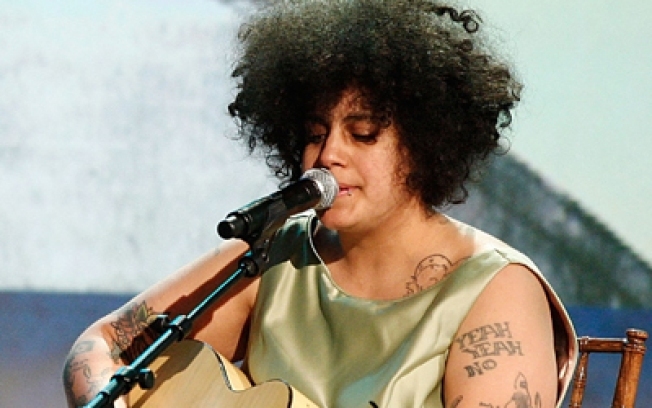 Kimya Dawson beings her sweet freak-folk sound to Bowery Ballroom tonight. BOUNCY: Sure, Kimya Dawson's pretty much synonymous with Juno, having made her sound the soundtrack to everyone's favorite teenager, but there's more to this multitalented lo-fi singer-songwriter - go take it all in at Bowery Ballroom with her show "10 Years off the Sauce." 8PM. JEWCY: Williamsburg's Public Assembly wants you to get down with the Bunker Jewish Christmas Party, so you can dance off the big Chinese meal you scarfed down last night while all the Christ-worshippers sucked back cranberry sauce. Berlin's Miss Fitz and DJ the Schwartz spin the turntables like they're dreidels on fire. 11PM. CONFLICTED: Controversial hip-hop prophet Nas's album Untitled just went gold - toast him at Hammerstein Ballroom tonight, where he's bound to not disappoint. 7PM.